This topic has 10 replies, 6 voices, and was last updated 1 year, 7 months ago by Max. I have started to put together the TacGun Challenge. I have not worked out how to score all the events yet. Also, I am thinking about a June 2018 date. Any input on that? be aware I have some things on the schedule, such as Texas February, CLC April, and Idaho in May. June gives time away from the winter for the PT aspect? Also, due to there being no training during the TC for combat lifesaver and land navigation, I am still proposing an optional Friday for a fast track TC3 / land navigation class ( 4 hours morning and afternoon, respectively, classroom). Feedback? Now that I have the Team House up at site, I am thinking of putting on a weekend TC3 class over the winter, day one would be the 8 hour TC3 class, day 2 would be practical application in a UTM combat environment. Some of the UTM combat action would of course be managed / staged for learning, not a total free for all. I am still working on ideas for that. It would also involve casualty evacuation! There are 9 Core Events that will be tested at each Challenge. There are no training prerequisites, but competence at the core skills will be expected. The TacGun Challenge will be run as a team event (4 person teams). You can bring a team, or for individuals, teams will be allocated at the Challenge. Events will be conducted either as a team or as individual best effort, with the results collated to determine team placing. There will be 9 Core Events. These events will consist of individual and team challenges. Tasks will be assessed both objectively and subjectively: individual events will be assessed for time and successful task completion; team events will be assessed for successful task completion, teamwork and effort. Scoring: Individual best effort collated into team totals. The 2-Mile Speed March is an individual best effort event, designed to simulate a rapid movement to relieve troops in contact. It is a physical and mental challenge that will asses an individual’s aptitude for combat. It tests physical fitness, heart and determination. 2. Combat Shooting Qualification: The shoot takes place with a short break after the Tactical Fitness test. Time will be given to walk from the end of the course to the range, drink water, and form 5 man shooting details. This is designed to simulate combat and the stress of engaging the enemy after the 2-Mile approach march. Ammunition/magazines required: 5 x 10 round magazines rifle, 1 x 10 round magazine handgun. Total time from start of the run: 40 seconds including magazine/position change. 30 seconds including magazine/position changes. •	Ready up moving controlled pairs x 5 on command from 25 to 10 yards. 10 yards: on command, transition to handgun, 10 rounds 15 seconds. Total rounds 60 (rifle 50, handgun 10). TacGun Patch Pass: 48 hits in the scoring zone. Below: U.S. Army reflexive fire target. The scoring zone is the white area. 3. 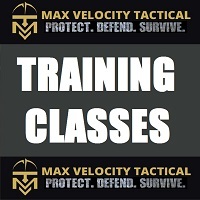 Weapon Manipulation: Perform an unknown malfunction drill on your rifle on the range, timed. 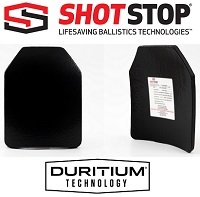 This will be tested on the square range under pressure, with students being required to move to their weapon on the firing point, attempt to engage the target, and then clear the stoppage/malfunction that has been created on the weapon. 4. Navigate: MVT navigation course: use a map and compass, navigate point to point across country as an individual. Load Bearing Equipment (LBE) and rifle, 30lb dry weight. The standard will be 4 checkpoints within a maximum time of 3 hours. To achieve a TacGun standard, you must achieve all 4 checkpoints within 3 hours. For the competition, team times will be collated. 5. 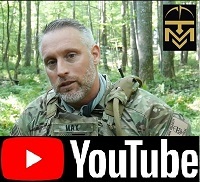 Move under direct fire: Team Assault: This will be a team event utilizing UTM Man Marker Rounds. Teams will be given an objective to capture within boundaries. 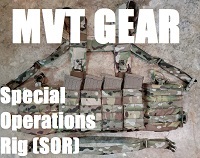 Live OPFOR will be used. Scoring will be based on time to seize the objective with penalty points for hits taken. Normal FoF rules for casualties / deaths will be observed. 6. Conduct Tactical Combat Casualty care (TC3) to Combat Lifesaver standard. Following the team assault, all team members will be regenerated and continue tactically in the lane to encounter a friendly casualty. The team will be assessed as a team in the speed and accuracy of TC3 MARCH protocols. 7. Team Casualty Evacuation: The team will evacuate a simulated casualty and continue along the lane. Team will be assessed on time to move the casualty to the evacuation point. 8. Close Quarter Battle: High Threat Entry & Clearance. Team will continue along the lane to the CQB site. They will conduct CQB Force on Target in pairs. This will consist of a run to the CQB site, break into tactical movement, and conduct two man clearance drills following a set sequence. The targets inside the room will be plates. Score will be worked out on time, with penalties for missed plates and also for any non-tactical actions. Sounds awesome! What a great weekend that will be! Another thought is that we could make the land nav a 2 man or 4 man team event? Yes, people can then slip through who cannot navigate. Also, land nav takes up a lot of time. We could do the land nav in a different way, as in take put the 3 hour individual event, as in how the teams move through the lanes, navigating to each lane start point as a team, doing the casualty evacuation with a little bit of land nav? 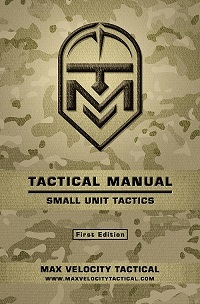 If we removed the land nav as an individual event, then there would be room for some more UTM combat? I did remove the break contact aspect? WE could even introduce an element of team capture the flag as we do on FoF Team Tactics weekends? That way, we can run a full TC3 day optional on the Friday also? I would suggest keeping the Land Nav and making it a two man event. That way if someone brings a younger person, who they are trying to get interested in TacGun and may not be all that familiar with Land Nav, the younger person can learn and not be discouraged. A two person NAV team would good ideal. The Tac-Gun is a great training tool to build team work and person strength to find out what you can and can not do and work at improving your self and team work. Max, you mentioned a • Precision Shooting part how far of a shot would be taken? Listening about the 2 man nav. There is no precision shooting part currently on the TC. It is possible we could add it, maybe shooting at the 600 with AR. I was up there the other day doing that. Depends if there is time. It would be an application of fire shoot with the same rifle used on the TC. Maybe 15 rounds each count the hits. Walk up the hill. Maybe. 600M might be a bit optimistic. The current Army trainfire qual has only 3/40 shots ( I think) at 300m. What standard does MVT currently have for distance shooting? Re: 600 yards – was thinking of a bonus score(s), if we added it at all. Hence 15 rounds each to walk it on with wind. Would not want people to dive into this and make it precision – the idea would be with the standard AR they are using for the competition. I was out pinging it ht e other day with my 1 x MRO red dot, holdover walking on the splash. WE are talking about this because I included precision in the description of what TacGun is, but it need not be part of the TC. We could even have a separate sniper challenge. So, June 2018. Any opinions? Any dates in June to avoid? Also, what about the optional pre-day on the Friday? Perhaps we do not need to offer land nav if the competition is doing that in pairs? Do we offer a TC3 day? Or no pre-day on offer at all? June sounds good, we will be there. I may run it again also but J will for sure. If I don’t I’d be happy to help marshal. Ok, but this is not the RC. This is the TC and will be vastly different.